America’s love for trucks is no secret, with trucks continuing to dominate yearly sales charts. America is also home to some of the most awe-inspiring performance trucks you can buy straight out of your local dealer. True, a lot of the “regular” trucks you can buy (F150s, Silverados, Sierras, Rams) come equipped with enough power to move houses, but there are just a few that come with that extra performance pedigree. Modified suspensions, menacing looks, big wheels, off-road pedigree and a jackhammer of an engine- all traits you would associate with a performance truck. In the US, there is one king of the performance truck, the one benchmark standard in which other performance trucks aim to best. That is, of course, the Ford F-150 Raptor. 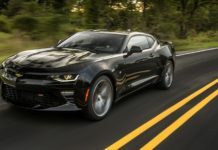 Even after its recent switch from its beloved V8 engine to a 6-cylinder twin-turbo EcoBoost engine, it is still the high watermark for the segment. 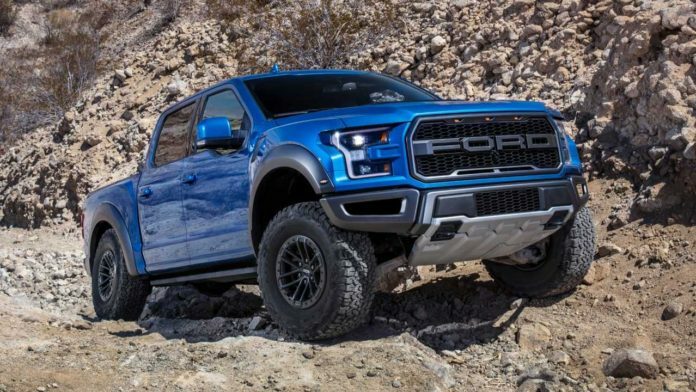 So out of the factory, you can buy yourself a Raptor, starting at USD$50,000, which in itself is already great value, especially for that much performance. Alternatively, you can pluck down about USD$40,000 for Chevy’s Colorado ZR2, powered by GM’s 2.8 litre Duramax turbo diesel, it’s a worthy alternative to the Raptor. Not to be outdone, RAM has said they will power up their Rebel truck with the Rebel TRX. And if that is not quite enough, there is talk of a possible Ram Rebel Hellcat to boot. When it comes to performance trucks, there is no equal to what you are able to purchase factory ready than in the United States. Australia, with its vast lands and plateaus, is perfect for the 4×4 experience. With a recent shift to truck buying (two of the best selling vehicles of 2017 were trucks), more and more manufacturers are seeing the benefits of investing in adding performance to their trucks. But what options do Australian truck buyers have when they want a little more out of their truck? Forgoing the aftermarket, let’s find out and see if the Australian performance truck market can compete with America’s. Ford Australia has found themselves in a good spot with the Ford Ranger. Already the 2nd best selling vehicle in Australia for 2017, it continues to do well in sales through 2018. The big news for the Thai-built Ranger is the arrival of its performance edition Raptor. Meet the latest addition to the Ford Performance line-up, and the most epic Ranger we’ve engineered. The first-ever Ford Ranger Raptor. The Raptor name is a big name to live up to. The Ranger Raptor, while boasting some trademark Raptor styling (grille, flared arches, wheels) doesn’t quite pack as much punch as its F-150 sibling. Powered instead by 2.0-litre (yes) BiTurbo diesel engine mated to a 10-speed automatic transmission, the Ranger Raptor will pack 210hp (157kw) and 369 lb-ft of torque (500nm). The latter is substantial, but for those Raptor enthusiasts, will find the horsepower lacking. The good news is that the transmission is the same one found in the F-150 Raptor and the new Mustang GT. So while power may be lacking, you can expect a more than capable drive. The rest of the package, however, looks excellent. From the suspension, to the terrain management to all the tech, you can bet that there will be few people who will be getting their hands on a Ranger Raptor once it is released. In Australia, prices are expected to be around USD$63,000 (AUD$80,000) and upwards (yes, that’s not a typo). It’s a good option when Australia doesn’t get a factory built F-150 Raptor and size wise, may actually suit Australia’s terrain better. Australia’s best selling vehicle is the mid-sized Toyota Hilux truck, it is in sales terms, what the Ford F-150 is to American vehicle sales. It is, however, a rather bland truck that is is more purpose and practicality over style. It’s not necessarily a bad thing, just not you would consider when looking for a performance-minded truck. Enter the Rogue, the Rugged and the Rugged X.
Toyota is looking to up the ante on their Hilux outside of their TRD models and has added some rugged terrain accessories. While customers will get some added equipment, the Rogue, Rugged and Rugged X will still employ the 2.8-litre Turbo Diesel engine available for the Hilux. The power outputs are decent (174hp and 332 lb-ft of torque) if not rather uninspiring. It’s probably the least fun option you can opt for considering that the upgrades are more cosmetic changes than anything else. With prices expected to exceed USD$43,000, it’s by far the most economical, if not boring option. Holden Special Vehicles (HSV) has been synonymous with Australian performance for more than 30 years. 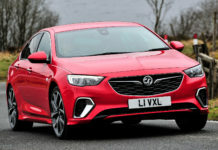 With the majority of those 30 years supercharging Holden’s marquee Commodore sedan, HSV has turned to the performance truck market with the closure of local manufacturing. With it comes the debut of their pumped up Colorado, named the SportsCat. Based on the Chevy/Holden Colorado, the SportsCat features the same 2.8-litre Duramax turbo diesel engine found in its donor car. HSV enthusiasts were disappointment that HSV didn’t opt for more power, but the Duramax’s meaty 369 lb-ft of torque is still a class leader. On top of this, the SportsCat and its higher spec SportsCat+ come with SupaShock suspension upgrades, rear de-coupling anti-roll bar, performance brakes, and a raft of cosmetic enhancements. It’s good looking to boot, and its HSV pedigree means that even if there is no power upgrade, there is enough to give it an edge in performance against its local competition. The SportsCat+ is priced at around USD$62000 (AUD$78000). Certainly not cheap, but it’s more than just a sticker pack and bigger wheels. My personal choice is clear, if I had to pick one I’d opt for the HSV Colorado Sportscat+, but then again I might be a little biased. Here I am doing a little off roading in the SportsCat’s donor car, the Colorado Z71 which spec wise, isn’t too far off the HSV version. I did indeed fall in love with it and hoping that I’ll get my chance to see what the SportsCat+ can do. While certainly a fine choice, these factory-built options in Australia are a step off their American counterparts. While HSV will soon bring the Chevy Silverado here in an official capacity, those wanting extra grunt with their trucks still have to opt for the aftermarket options. Until the Ford F-150, Colorado ZR2 or the Ram Rebel make their away outside of the US, the American truck is still king of the mountain. There is, however, one other option in Australia that is unrivaled. Sure, it’s a different segment, but in essence, it ticks the box of what you need your truck for (hauling goods, transporting equipment), and blasts the box for performance into smithereens. I am, of course, talking about the ute. And when it comes to performance utes, HSV was at the top of the game. With the final run complete, the HSV GTSR Maloo bowed out with a bang. Powered by the supercharged LSA engine, the 6.2-litre V8 pumped out an impressive 580 hp and 550 lb-ft of torque. All while capably carrying your tools and equipment from work site to work site (you just couldn’t really take it off-roading). And that glorious soundtrack was something else. What happens when your entire dealer network disappears? 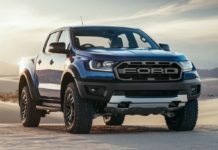 The New Ranger Raptor is How Much? !